You are on a team that must work together. Jealousy, misunderstandings, conflict of ideas or personalities. Our scripture this morning is a letter Paul wrote to the early church in Corinth. And were a community with a fair amount of conflict. The Corinthians thought the gift of speaking in tongues was particularly awesome. If you could speak in tongues, the rest of the church would beam in pride, greet you enthusiastically at the door, and listen to what you had to say. The Corinthians so valued the gift of speaking in tongues, that they were starting to devalue other gifts. So let us listen to what he has to say. 15 Now if the foot should say, “Because I am not a hand, I do not belong to the body,” it would not for that reason stop being part of the body.16 And if the ear should say, “Because I am not an eye, I do not belong to the body,” it would not for that reason stop being part of the body.17 If the whole body were an eye, where would the sense of hearing be? If the whole body were an ear, where would the sense of smell be? If Jerry would say, “because I am not a dancer, I do not belong to the body,” that would not make him any less a part of the body. And if I were to say, “because I am not a singer, I do not belong to the body,” that would not make me any less a part of the body. And if Louise were to say, “because I am not a preacher, I do not belong to the body,” that would not make her any less a part of the body. And if you say, “I am sick and cannot do what I want to do,” that does not make you any less a part of the body. And if you say, “I don’t read the Bible every day or exercise every day,” that does not make you any less a part of the body. And if you say, “I can’t read very well at all,” that does not make you any less a part of the body. And if you say, “I don’t know the social cues yet and I stand when I should sit,” that does not make you any less a part of the body. And if you say, “I don’t agree with so-and-so on politics or doctrine or how to raise children,” that does not make you any less a part of the body. You are a part of the body. Each member with a gift to share. Paul uses a popular Greco-Roman metaphor: the body. In the Greco-Roman world, society as a whole was seen as the body, with the elites at the head, ruling the rest of the body. Christ is the head and the body is governed by mutuality, not hierarchy. Mutuality, not hierarchy, in church, in relationships, in community. Each has an important and vital role – each is to be valued. Each has a gift and a role, a special place. At home, one family member cleans, another does finances. In my home CJ does the technology and it doesn’t work well when I try. To belong to the body of Christ is to respect and honor the gifts and roles of others. Attempts to “do it all” serves our egos, but it does not serve God. we diminish their God-given place and neglect our own. What are the “greater gifts”? Paul answers in the very next line, with our second scripture. The “greater gifts” is, in fact, the gift of love. Love is the gift that infuses and informs all the others. All spiritual gifts spread love AND are given in love. but how we share the gift is as important if not more so than the gifts itself. your gift will fall on broken hearts. your gift will be ignored. How we share our gifts is just as important as the gifts themselves. So our gifts are written on hearts because spiritual gifts not only spread love. Spiritual gifts are also given in love. 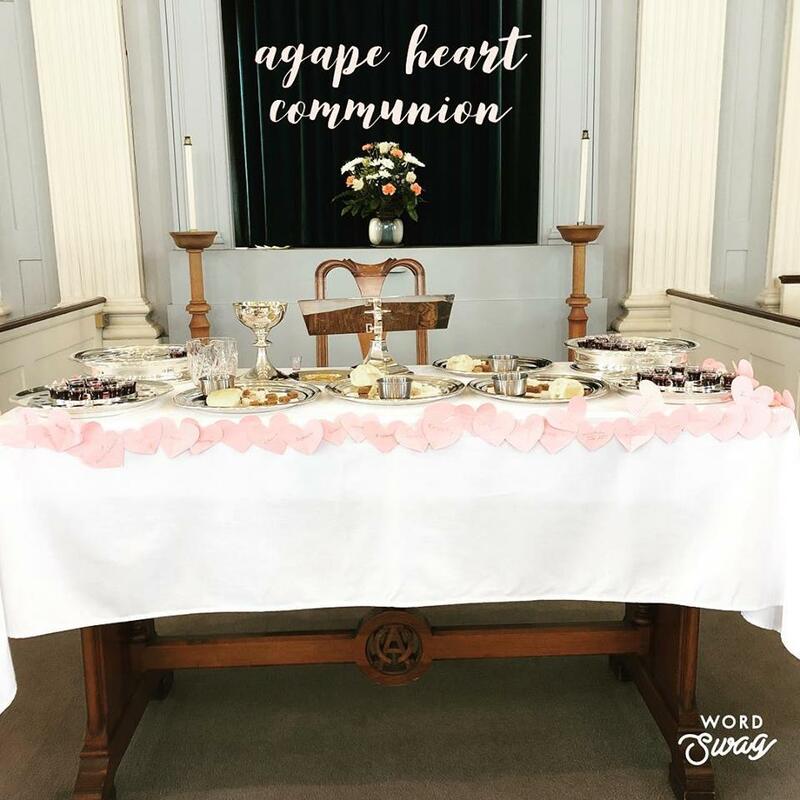 Communion is a means to share our gifts in love. Ozlem Cekic was the first Muslim, immigrant woman to serve in the legislature in Denmark. She had a gift for leadership and insights about the country. Sadly she received hate mail admonishing her to step down: we don’t need you! They cried. She reached out and met with those who wrote the hate mail. Not the Christian sacrament, but the spiritual practice underlining Communion. Ozlem sat beside those who wrote her hate mail. This act of mutuality is key to sharing our gifts in loving communion. My gift will not take up all the space or overpower others. When I share my insight, I share it and then allow space for others to share theirs. In worship those with the gift of song sing for a time, those with a gift for preaching speak for a time, those with a gift for dance dance for a time …no one gift dominates the entire service. When we share our gifts in loving Communion, we sit beside one another sharing the space. She trusted them enough to meet in their own home. Talk about trust and courage! Trust is key to sharing our gifts in loving communion. we need to trust that the holy is present in the other. And we need to trust the holy is present within us. We share our gifts in love by honoring the unique place each one has. So let us share our gifts at the Communion Table. As a symbol of your willingness to share your gifts in loving communion. Sharing our spiritual gifts in love is a great offering to God. Let us have the courage and faith to share! Listen to the story about Olzem Cekin here.